Know what a freeboard or a quarterknee are? Know what lofting means? 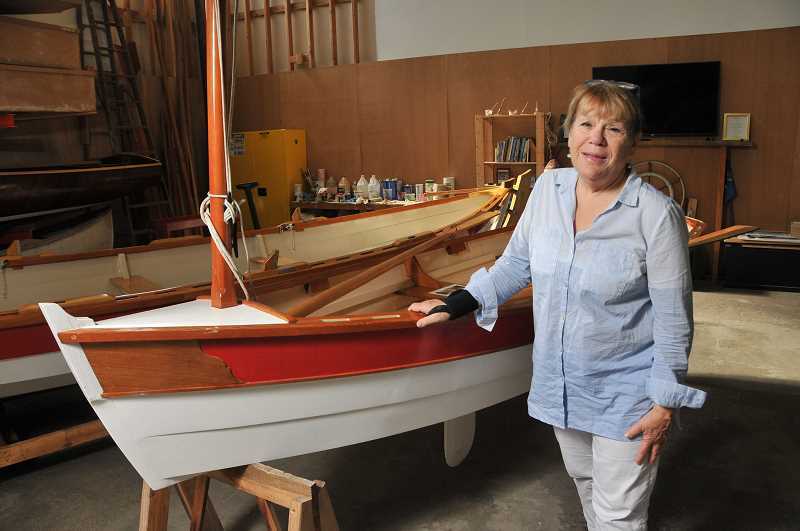 Students at Wind & Oar Boat School know those terms, as they are just some of the vocabulary they learn as they tackle the task of building a full-size wooden boat. Wind & Oar Boat School, founded in 2011 by Lake Oswegans Peter Crim and Jann Lane, is a nonprofit youth education organization dedicated to engaging and inspiring young people through the art, science and craft of building wooden boats. And as Crim says, "the benefits of the program are bigger than the boat." Crim is the organization's executive director, while Lane, his wife, serves as development and communications director. Wind & Oar gives elementary through post-secondary students hands-on woodworking experience while making math and science relevant. "We provide a space to develop critical thinking, team building and leadership skills, all of which are important aspects of successful career development," Crim says. The project-based program offers an integrated curriculum linking math, science and design skills to the construction of wooden boats. Students gain practical woodworking skills and understand the application and relevance of academic skills in the world of work. Both Crim and Lane grew up in boating families. "I grew up taking care of wooden boats," he says. Crim enhanced his watercraft experience as a camp counselor and then sailed recreationally. He taught school for a few years after graduating from college. 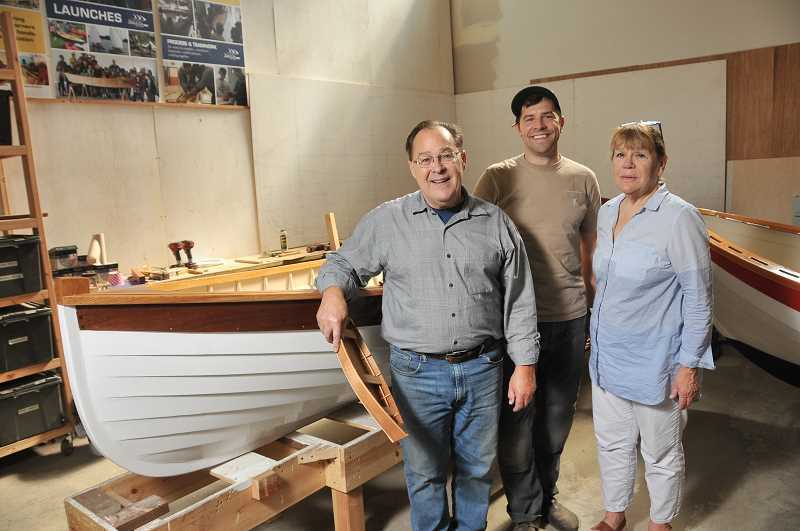 Throughout his career, he says, he felt that building boats had potential for helping people reach their potential, so as the idea of Wind & Oar developed, he attended a wooden-boat-building seminar in Maine. "We use a range of boats, from cardstock models to complex sailboats, as platforms for reading and interpreting plans, developing a course of action, anticipating actions and, finally, executing the process in a team dynamic with the tools available," Crim says. The tools include traditional hand woodworking tools as well as modern shop tools. 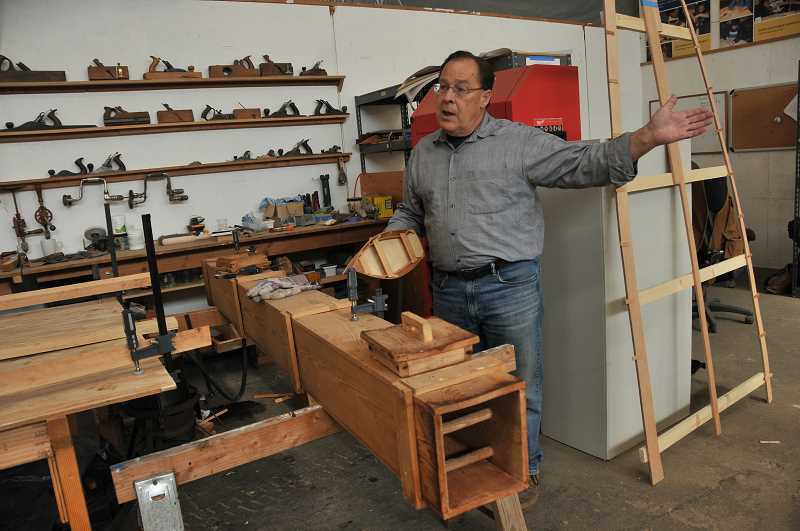 Crim, who has built several wooden boats himself, got his start attending weeklong (and longer) wooden-boat-building workshops. As a former teacher, he quickly saw the benefits of introducing the process to students. "(In the program), students master new skills in an atmosphere that fosters critical thinking, teamwork and perseverance," he says. "Through the process of crafting a tangible, functional object, young people gain confidence, motivation and a curious spirit they carry forward at school and in the workplace." "And it's fun, too," says Nathan Nelson, one of Wind & Oar's instructors. "It's a learning process for everyone each time. The beauty of building a boat is there are no square corners. You are problem solving and have to think through the process and plan ahead. There is no formulaic way to do it' there are multiple ways it can be done. We learn a lot from the kids as well." 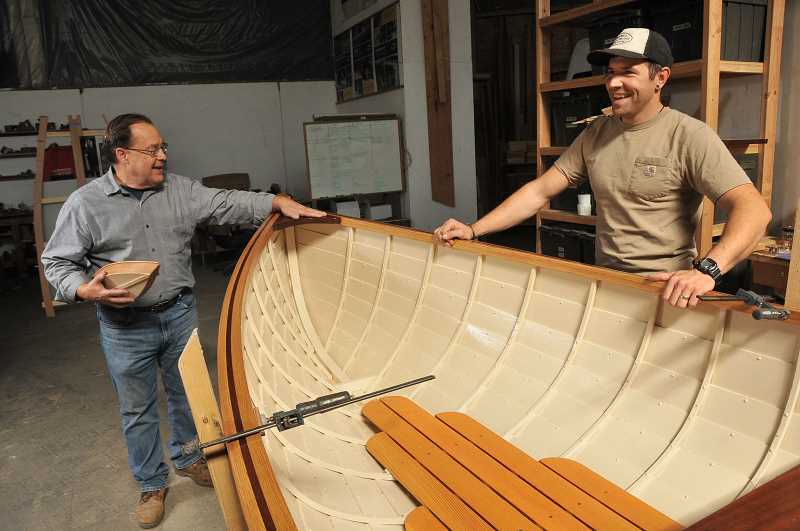 Crim says it takes several months to complete a boat, beginning with lofting (a process of scaling boat-design drafts to full-scale patterns through complex mathematics to assure accuracy of curves); sawing the cedar or mahogany wood; steaming and bending the ribs and other boat parts; connecting the wood with rivets; sealing the boat and more. The finished products are beautiful, usable watercrafts. Corporate donations, sponsorships and parent teacher organizations fund the boat projects, and Crim says many groups auction the boat off to raise funds for other school projects. 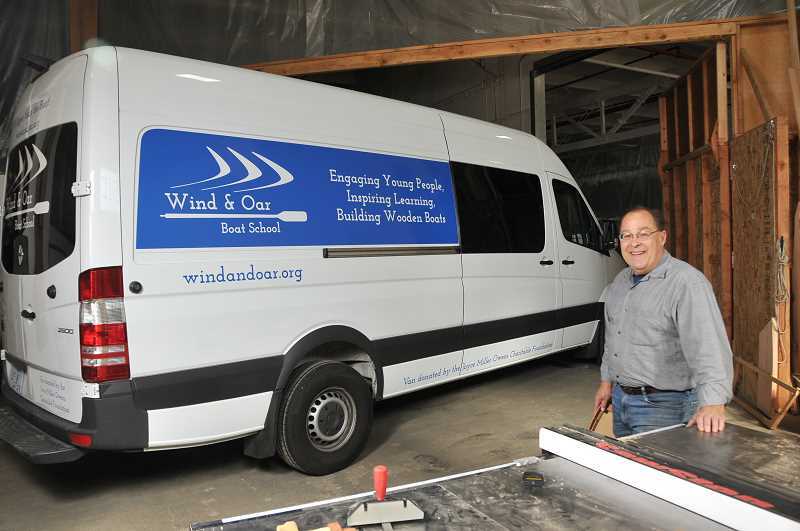 Wind & Oar currently works with Beaverton, Hillsboro, North Clackamas, Portland and Vancouver school districts, plus Portland Community College, Portland State University's Center for Science Education and Self Enhancement Inc. Academy. Corporate and foundation support comes from Daimler Trucks NA, Joyce Miller Owens Charitable Trust, CFM Strategice Communications and other corporations. "Wind & Oar could not provide our unique programming without our many partners," Crim says. "We believe in the power of communities working collectively to transform education. Please join us in celebrating our community, school and corporate partners." Wind & Oar Boat School is located at 10100 S.E. Main St. in Milwaukie. To learn more or donate, visit windandoar.org or call 503-709-4337.